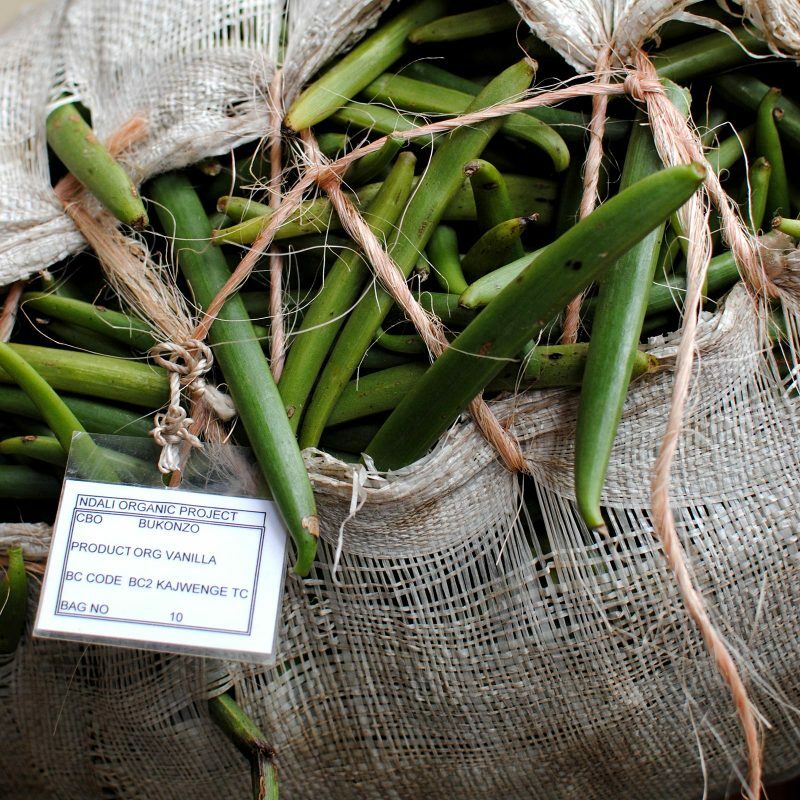 To flourish and produce truly aromatic beans vanilla needs a leafy tropical environment: plenty of dappled sunlight, buckets of rain, rich loamy soils. 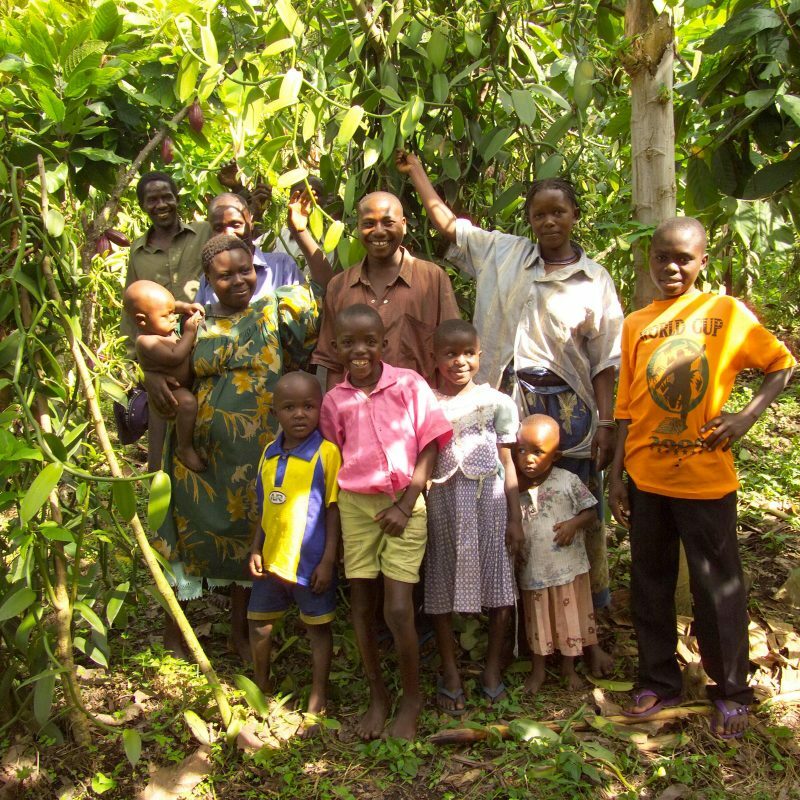 Ndali’s plantation grows under regenerating tropical forest with generous amounts of mulching materials, whilst that of our Fairtrade organic farmers’ is under a canopy of banana, guava, mango and prunus africana trees. Its about as organic as it gets. 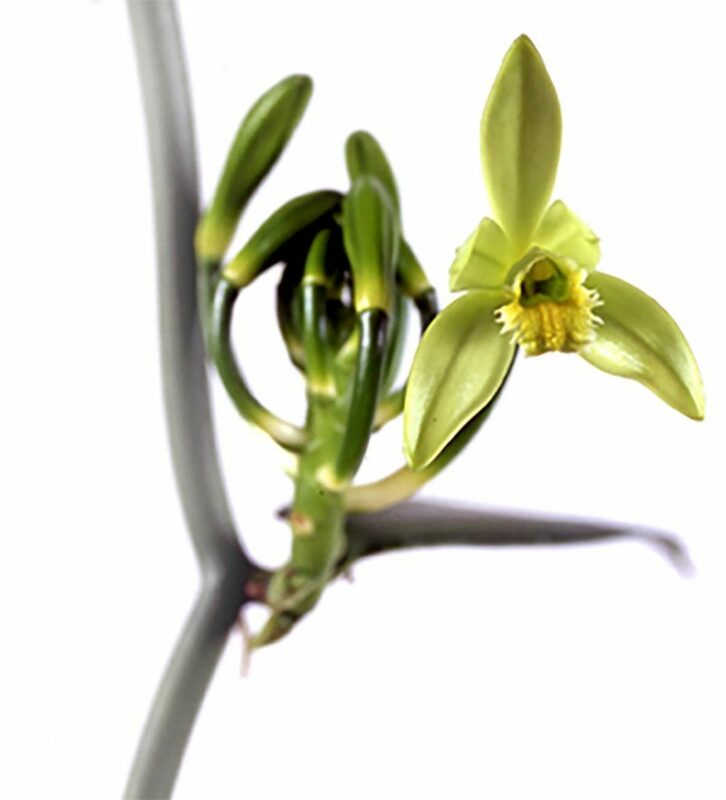 The intricate vanilla flower has to be pollinated by hand using a pin or whittled stick to carefully lift out of the way the flap (rostellum) which separates the stigma and pollen-bearing anther; thumb and forefinger then gently squeeze these male and female parts together. The delicate work has to be done within eight hours of the flower opening, and has to dodge rain, ants and heavy hands to produce a successful conception. The tiny ground-living stingless bees in Uganda, called meliponine, and three other species of insect elsewhere in the world, are the only ones capable of pollinating the flower but are too few and far between. 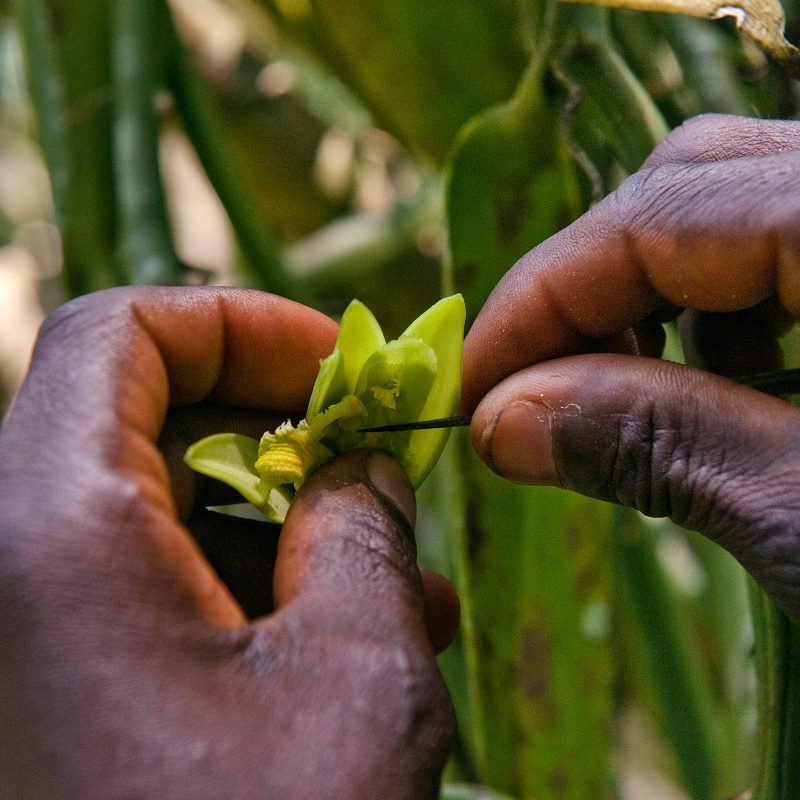 The vanilla bean is harvested 9-11 months after pollination: the longer the beans are left on the vine the better. Vanilla is an orchid vine, originally from Central America, and the only one of over 25,000 orchid species to produce an edible fruit. It grows in tropical latitudes stretching to approximately 23° either side of the equator. 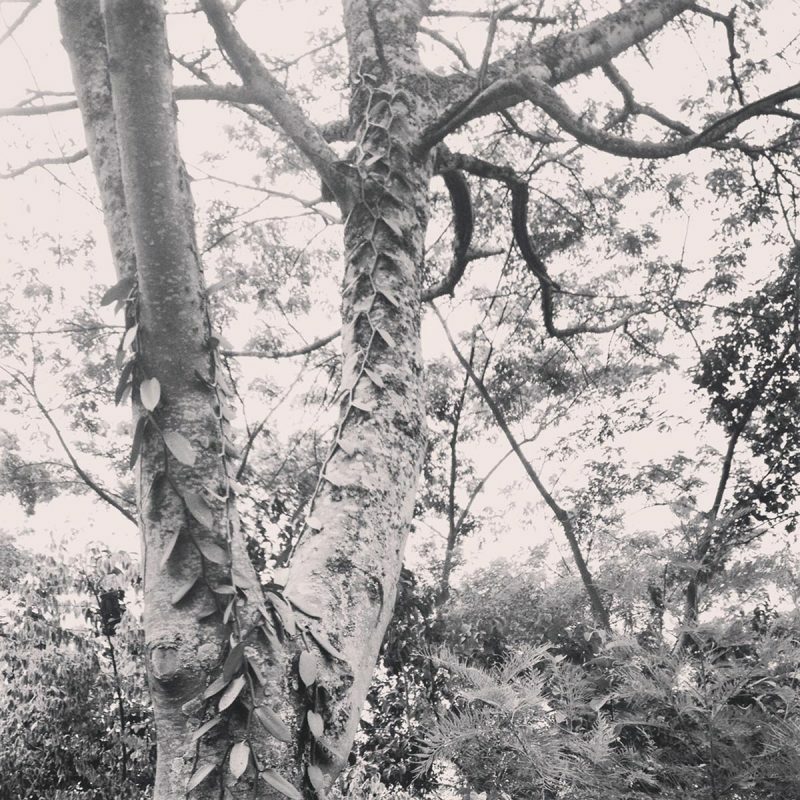 The vine needs to entwine a host tree – we grow ours up mulberry, physic nut trees, and forest trees.